PORT-OF-SPAIN, Trinidad – Caribbean countries are being urged to position themselves to take advantage of greater trading opportunities that may derive when the Panama Canal Expansion project is completed and commissioned by the first quarter of 2016. When it is completed, the Panama Canal will be able to facilitate the crossing of larger ships between the Pacific and Atlantic Oceans, and, as a result, there would be a need to set up at least two transshipment points in the Caribbean. Rodolfo Sabonge, expert external adviser for the U.S.-based management consulting firm McKinsey and Co., told the Caribbean Media Corp.that there is already competition among Caribbean islands as to where that transshipment point should be. “It would be where there are other services and cluster activity, maybe in the maritime sector that would be able to contribute an added value to the shipping lines,” Sabonge said. He is encouraging the competing Caribbean countries to do an in-depth risk analysis to avoid the pitfalls of making investments where there will be no real opportunities. “So you need to understand better: What are your advantages? What [do] you bring to the table in terms of competitive advantage? What is the country good for? What other things can be offered or provided as services? “It’s a challenge, but it’s also an opportunity. You can make something good of it, but if you don’t do the right homework, you can end up with failed dreams,” Sabonge added. His comments were made during the second day of the CIBC First Caribbean International Infrastructure Conference here as regional governments were being urged to venture deeper into public private partnerships (PPPs) with the private sector. Richard DesLauriers, a partner in the multinational professional services network Pricewaterhouse, said regional countries should proceed as a regional bloc to enter into PPPs. He said the Caribbean needs infrastructure and the PPPs can be part of the solution. However, he said based on investor analysis, the economies of most countries in the region are too small and their credit ratings are too weak to interest large private investors and to equitably sustain PPPs. “Before investing in a project, a lender or investor would look at the probability that it has of being repaid over the long term; the credit rating is an indication of that. “So if a country has a poor credit rating, lenders will be reluctant to get involved with that government,” DesLauriers said, suggesting that the regional governments whose credit ratings are not favorable to investors seek help from financing institutions such as the Inter-American Development Bank or the Caribbean Development Bank. On the issue of going forward as a region, DesLauriers said that though PPP projects are done between governments and private investors and at the end of the day, the agreement would be signed by individual governments, presenting the region as a “bloc” is a better marketing strategy. He added that going forward as a region will also help to develop a level of expertise that individual governments may be hard pressed to do on their own. “Each government cannot necessarily afford to create its own body of experts, but there can be sharing of expertise on a regional level between governments,” DesLauriers said. 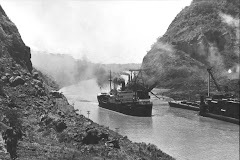 After WWII, and during the many decades that elapsed before Panama became sole owner and operator of the Canal, the US – responding to the growing worldwide awareness of the impacts human activities have on the natural world – funded a myriad of studies to not only identify the negative impacts of the already existing canal system and how to best mitigate those, but to also identify the pitfalls that would accompany additional modifications to the waterway. The following are the two most salient risks identified with respect to investing in the addition of lanes to the Panama Canal at some future date – reasons also for which the 1930's lane addition was not restarted. 1. A long held concern was – and still is – that the Canal could be at risk of significant damage and total shutdown due to an earthquake. The validity of that concern was confirmed by way of site studies commissioned for the present expansion, which reported conclusions between 2005 and 2007. Whether the Panama Canal is expanded or not, an earthquake with an estimated magnitude of between 7 to 8 on the Richter Scale is expected in the very near future in the vicinity of the Pacific entrance to the Canal. When that quake strikes, it is expected that the Locks at that entrance will fail. The new and larger lock set under construction, as well as the new dike being built across the active fault that is the source of the awaited quake, may or may not fail. Nonetheless, Gatun Lake will empty out though the original locks. It is estimated it will take five years just to re-fill Gatun Lake, and that can only happen after all leak-points are sealed. 2. Too much salt content in Gatun Lake and all lake-level channels is of global concern as that allows for sea creatures of the Pacific Ocean and of the Caribbean Sea to cross and meet. Some species will be wiped out by others, as Smithsonian lab tests have shown, which with a different plan could be avoided. Underscoring the significance of this concern is the loss of sea-life that ensued after non-native Lion Fish were released from a Florida Aquarium into the Caribbean by a hurricane. Not only does the selected tank-lock arrangement bring in more salt than would a system of properly configured lock arrangement, the new system does not include the salt-barrier function of Miraflores Lake and greatly overloads the saltwater elimination process that presently keeps the Canal's salinity below the critical concentration. More locks with contiguous chambers like those at the Caribbean entrance to the Canal will cause more saltwater to intrude into the waterway during lock operations. In contrast, if lock-steps are separated by with a small body of water, as is the case at the Panama Canal's Pacific entrance, very little intruding saltwater gets past that separation. Obviously, separating the steps increases lock construction and outfitting costs, as well as operating equipment and maintenance needs. While separating the lock steps would not alter the number of daily transits, the transiting ships would have to bear these added costs, along with the extra 2 to 3 hours of canal residence-time that the separated-step arrangement would add to their overall voyage schedule. Apparently it is that added time and expense that has motivated governments and banking institutions around the world to accept the loss of marine flora and fauna that affect other sectors of the global economy, in favor of marginally lowering shipping costs for Canal users. Furthermore, considering that a total canal shutdown due to an earthquake is quite likely in the near term – that term defined by the Pedro-Miguel fault, which last slipped in 1621 and has a recurrence interval of about 400 years – it can be argued that opting for a full canal expansion at this moment in time was irrational, but that is what was decided. What would have been the prudent canal improvement plan to follow, instead of its immediate full expansion, would have been to do the many upgrades needed to maximize the original lock system's transit capacity. As most of those upgrades would apply to a subsequent expansion there would be no value lost. In parallel, proper planning for an expansion appropriate to the realities of the site could have been performed. Also, ways to safeguard Gatun Lake from emptying could have been developed to shorten the time the Canal is shut down as a result of the earthquake that will eventually strike. Rather than follow the prudent and responsible path, and in addition to the seemingly irrational decisions noted above, Panama's government and the Canal Authority have promoted the building of new port facilities along the banks of the Canal's access to the sea. For canal ship traffic that is akin to further clogging the arteries of one's heart by promoting the deposition of plaque. The expansion project is all about creating the illusion of a sound advancement that will support other profitable businesses. But the reality is that it is nothing but a house of cards. As it stands now, a totally inadequate canal “upgrade” is being built, that incorporates a water-use reducing method that was discarded – and forgotten – over a century ago for being less time-efficient and requiring higher maintenance given its greater number of components and operating steps. The reality is that a long-forgotten “water-saving” system employing tanks was chosen for the reason that few had ever heard of it – nor knew anything about it as that system never got used in the real world – and that made it the perfect one to promote for the game afoot. Project promoters “selected” the locks-with-water-saving tanks solution because it was adequate for convincing the public to give the project the go-ahead vote. In effect, that selection served to thwart the will of the US public who had included a clause in the treaty with Panama when transferring the Canal's ownership to the people of Panama, which stated that the Panamanian people had to give their consent for an expansion of the Canal. In Panama it was common knowledge that more watershed would be needed for an expanded canal unless locks that used less water could be devised. And, it was also common knowledge that Panama's public expected that the effort of finding the most appropriate lock solution for the Canal's expansion recommended by the experts would be performed, and that the expansion of their Canal would proceed using what was found. While nobody knew exactly what that expectation entailed, they trusted that a genuine effort would be made. Project promoters knew that a plan requiring more watershed would be strongly opposed, given that earlier survey activities in potential areas northwest of the Canal had already stirred serious opposition among area residents. When still confronted with strong opposition and about 3 months left until the day of the vote, a third tank was added to the original two beside each chamber of the proposed single-lane lock system, plus the normal operating level of Gatun Lake was raise 1.5 feet. Interestingly, the addition of 6 enormous tanks and associated pipes and valves, plus all the changes that raising the lake level will have on facilities all around the lake – which includes the locks – added no cost to the project. At the same time, Panama's government quietly passed a law stating that only the Canal Authority had the right to hold public meetings or conferences to discuss canal expansion issues, so opposing views could not be made public. This confirmed the perception that the locks-with-tanks selection was simply a ruse to trick the general public into believing that it would be unnecessary to add water reserves. Those who saw through it were “legally” blocked from informing the people. With the water problem “resolved”, only about a third of the public made the effort to get out and vote. It appears that the opportunity to make a lot of money in public works projects worldwide spawned by this one – the overruns of which are always paid by the country's citizen via their governments – was at the core of fast-tracking the Panama Canal Expansion. Not only has the expansion project obtained billions in loans to build a white elephant, there are hundreds of ports that have undertaken multi-billion dollar expansions to receive bigger ships. Obvious to those understanding that “time-is-money” is that there could never have been any actual intention of operating the new locks using the tanks. With billions at stake at this stage – and with costs spiraling – the Canal's watershed will be expanded and Panamanians residing in those areas displaced, with or without compensation. The value of ocean ecosystems that will be lost to the many is of no concern to those few who are pocketing billions through deceit. This project has all the markings of a well-planned confidence game. The facts are that the Canal expansion's completion is way behind schedule, all kinds of structural and operational inadequacies (flagged at the outset by outside observers) are now officially becoming public, and the project has again overrun its budget. Already a bust, only an earthquake now would end its abuses along with its threat to the oceans.